Much of the rain died down around the Las Vegas valley. 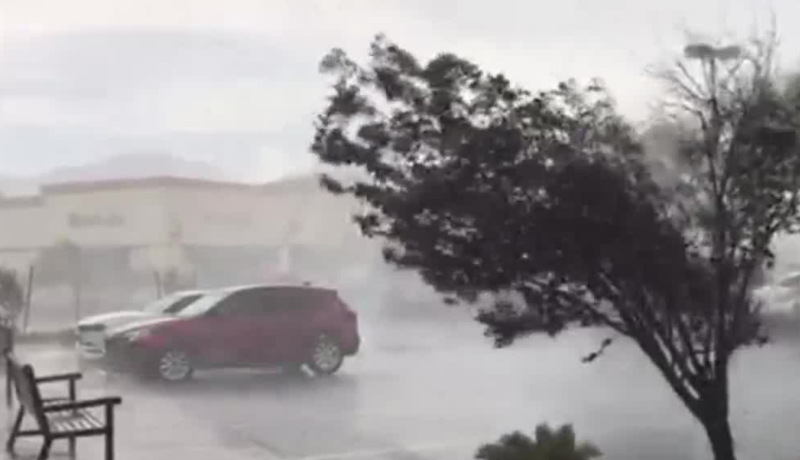 The Las Vegas valley is being hit by rain Thursday afternoon. 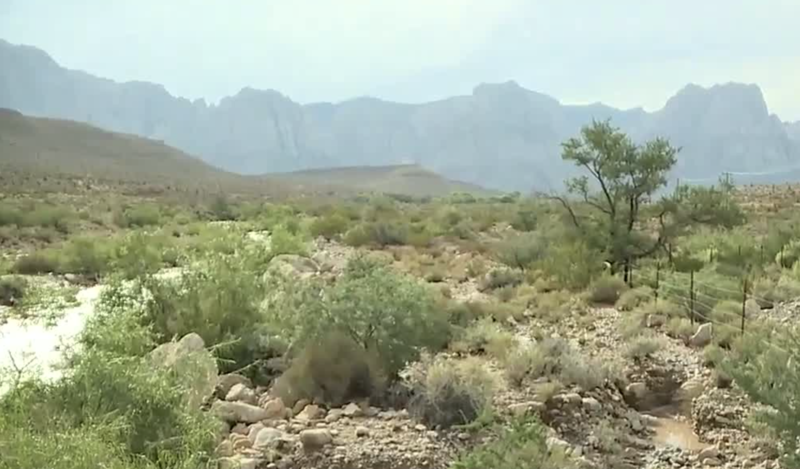 Rain has sent washes flowing in the Blue Diamond area, near Red Rock Canyon. A Severe Thunderstorm Warning was issued for Anthem, Southern Highlands, Green Valley and Silverado Ranch before being canceled around 2:10 p.m.
A Flash Flood Watch has been issued for the areas affected by the earlier storm through 5 p.m. and also includes Summerlin, Las Vegas, Mountain's Edge and east Las Vegas. A Flash Flood Warning was issued for northwestern Arizona, including areas in the Lake Mead National Recreation Area, through 6 p.m. Flooding is possible with the strong storms producing heavy rain in Mohave County. An earlier Flash Flood Warning was issued at 11:46 a.m. for North Central San Bernardino County in southern California and south central Clark County. The warning is in effect until 3:45 p.m. According to National Weather Service, a slow-moving storm could produce rain at the rate of 3 inches per hour and wind gusts between 30 and 40 mph. Storms today are expected to move very slowing with rain rates of 3"/hr. If it rains in the Las Vegas valley, it will most likely happen between 2 and 5 p.m.